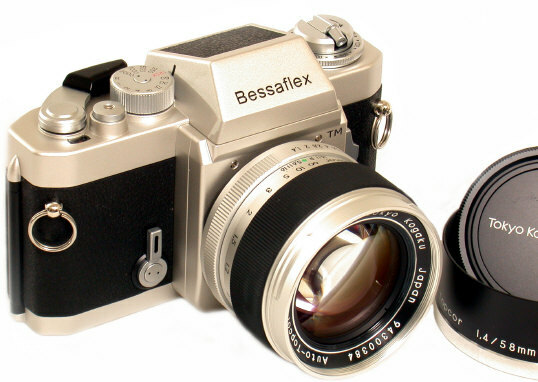 Any Opinions on the M42 Bessaflex TM? 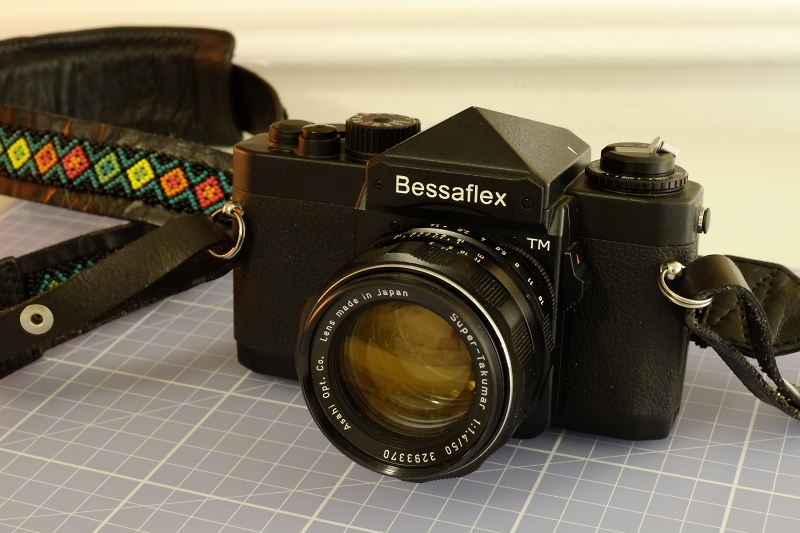 Home > Pentax User Forum > Pentax Film SLR Cameras Forum > Any Opinions on the M42 Bessaflex TM? This is my first ever post and i'm hoping to get some user feedback on the Bessaflex TM. I own a Spotmatic II and a couple of M42 prime lenses, so I was wondering how good of a workhorse is the Bessaflex TM. The Bessaflex isn't actually a Pentax body so it is highly likely those here won't be over familiar with it with them being mainly Pentax users (the clue is in the site name!) You might be better off asking that on a more general photographic forum that specialises in older film cameras rather than a brand specific one such as this. People here may be able to assist with any Spotmatic queries though! Welcome to your first post on the forum! The Voigtlander cameras are superbly made, but suffer from age and from over complexity where they use leaf shutters. The more recent Cosina made products are fine, but are probably not a first choice because there are low numbers about, so perhaps fewer spares, and they don't have the classic feel of the Spotmatic anyway. This site is brand specific as mentioned by John K, but just for the record I've owned original 1959-vintage Bessamatics that were gorgeous , but operationally not a patch on the Pentax Spotmatic. I'd stick with the Spotmatic. My dad was no great photographer but owned a Bessamatic and was very proud of it. He rashly lent it to be for a six month trip to Norway in winter in my youth but it tended to freeze up. Just recently I found in the attic quite a few transparencies I managed to take and they were not bad. I wish I knew what happened to it. Relevance? Oh yes, I used my K50 and 100mm macro lens to convert the slides to digital. I actually meant the wonderful Voigtlander Bessaflex TM, made by Cosina in the 2000s. It was the most up to date M42 mount camera body, with the brightest viewfinder. If you had ever looked though a 1959 Bessamatic you wouldn't say the newer camera has a brighter viewfinder. The original uses a vastly brighter aerial image, with just the centre being a ground glass for focusing. The result is staggeringly bright compared to what we are all used to! Was the 1959 Bessamatic also an M42 thread body? Unfortunately I haven't had the luck to shoot with many cameras. It would be great to see your 1959 Bessamatic, if you have one. My Bessaflex actually just arrived today. It's my second M42 mount body. What do you think of its looks? I was surprised how light it was. A really well designed product! No, Voigtlander had their own bayonet mount. Camera and lenses were superb, but so expensive.......and the Spotmatic knocks them for six as regards handling and usability. Nice looking TM. Rumour has it that the black body was modelled on the Spotmatic and the silver body on the Topcon. Cheers bro. Yeah, the silver TM really does look like a Topcon RE Super. I would've preferred the Silver model, but I only found this one for decent price. But you know what I would love to have? The special M42 58mm Topcon lens that came out with the Bessaflex TM. I've read that these lenses are extremely rare. If you're looking for a really good M42 50/1.4 to use with film then try to get hold of an Auto Yashinon DS-M. I picked one up on an Electro AX a while ago and it's superb - sharp even wide open and much better than the famous Super Takumar. It's auto only though, no manual mode. I've also tried it on my K3 but not being able to stop down means it's only for playing around with very shallow depth of field. 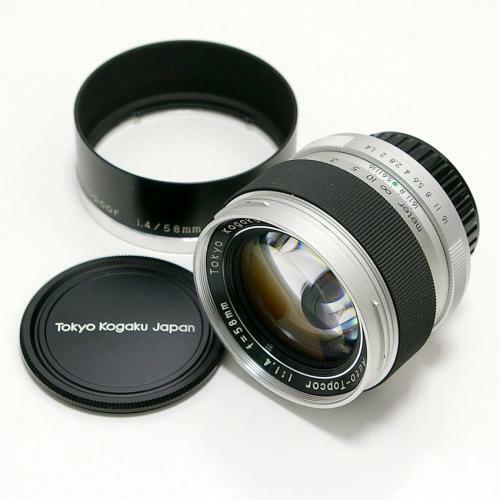 The Voigtlander Nokton 58mm 1.4 SL2 is a copy of the Topcor lens . Your Bessaflex looks very interesting. Thanks - I'd not seen the test of the Nokton before. I was suprised how cheap the lens is/was for Nikon - I thought the PKA versions were quite a lot more than that !